I’ve never truly pictured myself an adventurer. I explore, discover, learn and interpret as I travel – but to be an adventurer? Not this city girl. But I have my moments, when I’m willing to throw myself into an experience and imagine what its like to be the first person to be in a place. 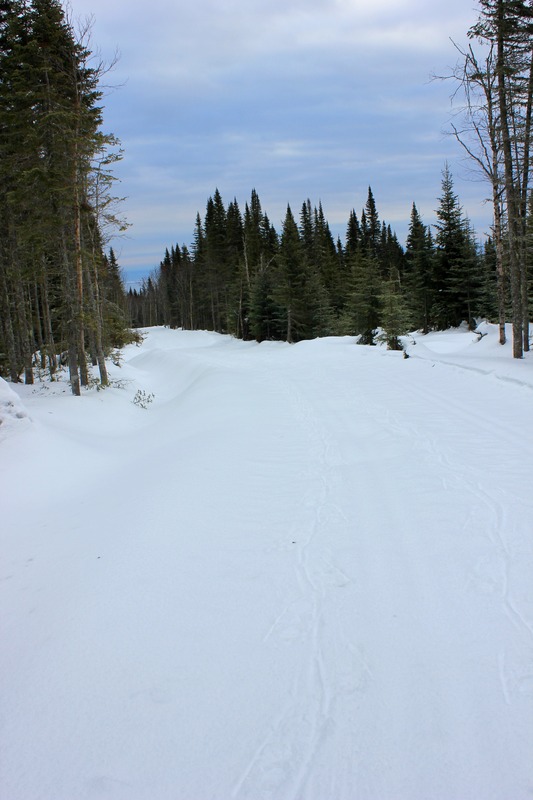 As I ventured along the trail at Le Massif on my snowshoes, I didn’t feel that jolt initially. But as I wandered my way down the main trail and then took the snowshoe trail into the forest and up the mountain, I had that flash. What if I had to follow animal tracks to feed myself? What if I had to melt the snow or ice for drinking water? Or what would I do to create shelter when the sunlight faded into dusk and night? It wasn’t that cold – just around zero, a cloudy day and as I kept going kilometre after kilometre, I was warm from head to toe. All I knew that as I trudged along, the only sound I heard was my snowshoes. No creatures were stirring in the mid-morning. And my trail – hard to see – was just slight shadows in the snow. But for my mind, it was a grand adventure – imagining all kinds of possibilities. And for a city girl – its the perfect way to indulge in Mother Nature’s beautiful winter embrace – and know that the urban welcome of a warm lodge was at the end of my three hour journey.